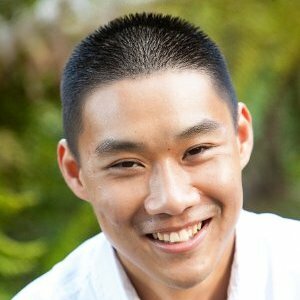 As I have previously written, with the release of VSAN 6.2 (vSphere 6.0 Update 2), a new VSAN Management API has been introduced which allows developers, partners and administrators to automate all aspects of VSAN functionality including: complete lifecycle (install, upgrade, patch), monitoring (including RVC and VSAN Observer capabilities), configuration and troubleshooting. Simply put, anything that you can do from the vSphere Web Client UI or the RVC CLI from a VSAN standpoint, you will be able to completely automate using one of the four new VSAN Management SDKs: Python, Ruby, Java and C#. In this article, I will show you how to quickly get started with the new VSAN Management API by exercising two of the VSAN Management SDKs: Python and Ruby. Another must bookmark is the VSAN Management API Reference Guide which provides more details on the individual APIs and how they work. 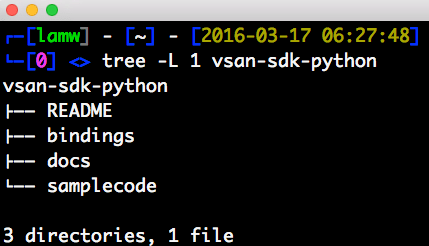 In this example, I will be using the VSAN Management for Python and Ruby. The bindings directory contains the language specific library to the VSAN Management API. The docs folder contains the offline copy of the VSAN Management API Reference Guide and lastly the sample directory contains a basic sample to connect to VSAN Cluster as well as an individual ESXi host contributing to a VSAN Cluster. Step 3 - Each of the VSAN Management SDKs extends the existing vSphere Management SDKs. This means that you will need to have the appropriate vSphere Management SDK installed on your system before you can proceed further. In our example, Python requires pyvmomi (vSphere SDK for Python) and Ruby requires rbvmomi (vSphere SDK for Ruby). If you are on Mac OS X, it is pretty easy to install these packages. Make sure you are running the latest version of these SDKs. Step 4 - Copy the VSAN Management SDK library file over to the samples directory. Step 5 - At this point, we can quickly verify that everything was setup correctly by going into the samplecode directory and then run one of the following commands below. If everything is working as expected, then you should see the usage information being printed out. If you do not, the issue is most likely with vSphere Management SDK either not being the latest version or not configured in the default library path for the sample to access. Step 6 - Now that we have verified our VSAN Management SDK installation was successful, we can now connect to a real VSAN Cluster. To do so, run the following command and specify your vCenter Server along with the credentials as well as the name of the VSAN Cluster. If successful, you should see the status for each of your VSAN hosts and its current state as seen in the screenshot below. Step 7 - Each individual ESXi hosts that participate in the VSAN Cluster also exposes an VSAN Management API endpoint. We can use this exact same sample to connect to one of the hosts to get some additional information. To do so, run the following command and specify your ESXi hosts along with the credentials. As you can see, it is pretty straight forward on getting the new VSAN Management SDK up and running. The provided sample only scratches the surface of what is possible and for a complete list of capabilities within the new VSAN Management API, be sure to check out the VSAN Management API Reference document for more information. I am really looking forward to seeing what solutions our customers and partners develop using this new API. If you would like to contribute code samples back to the community or just find new samples be sure to check out the VMware Developer Center Sample Exchange. The link for VSAN Management API Reference Guide is not working. Could you share with the latest.